Yes it’s true. I’m smarter than I think I am. Case in point is the upcoming CQ WW DX RTTY contest. This is the big RTTY contest of the season and the first of the half a dozen or so super contests that see tons of activity. It took me about 20 minutes to figure out how to configure the FlexRadio 1500 SDR software to use a virtual audio cable (VAC) to tie into the Writelog logging program which drives the embedded MMTTY RTTY engine. It’s about a complicated as it sounds but once you figure out how to get it running it soon becomes apparent that the FlexRadios are top-notch when it comes to running competitive RTTY. MMTTY has long been the defacto standard for running RTTY. It’s way better than old fashion external (and sometimes expensive) coder/decoder boxes and has none of the cabling issues (too many cables, too many plugs, too many failures) since it has no real cables relying on a VAC (which is another story altogether). But I’ve been hearing the a new software interface called 2Tone is terrific. However, installing new software into the system I’ve got running is problematic on two fronts. First my Writelog/MMTTY setup is very good and it’s running. Second, changing anything prior to a contest weekend of this magnitude goes against Peter’s First Principle of Contesting and that is thou shall not change anything prior to a contest weekend. Prior to the implementation of Peter’s First Principle of Contesting it wasn’t unusual to see me still trying to fix or return back to where I was on Friday afternoon whatever I had changed prior to the contest. I was going to install 2Tone inside of Writelog and it would like work just fine but there’s the First Principle so I started to think about how could I introduce a second reader into the system without essentially changing the setup. There’s really nothing for IPad (I’m a MAC guy but I do have an I7 PC for the ham radio station) so I was thinking maybe next time. But then I remember I have a beat up, ancient Toshiba Satellite laptop that’s got Writelog and N1MM already installed. I went to the website for N1MM and yes it will run 2Tone and so after a short download and configuration I now have the main system running as expected but I’ve patched an audio out feed to the laptop and 2Tone is simultaneously decoding the RTTY on the bands. This is very very cool and I’m quite pleased with myself 🙂 Now if the propagation gods will just cooperate I’ll be big on the CQ WW DX RTTY this weekend. Wayne Green, W2NSD (never say die) the publisher of 73 Magazine has died. 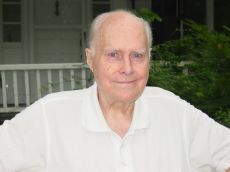 Green, who was 91, started his iconic and occasionally controversial magazine in 1960 and continued to publish it until 2003. Long a pioneer and vocal advocate for emerging amateur radio practices such as building projects (before there were kits), SSB phone (when AM ruled the bands), solid-state (back in the early 60s tubes were the predominant technology), FM and especially 10 meter FM (which nobody used) where 73 magazine ran countless articles on how to FM a CB rig and join the growing fun on 10-meters. Green was always a critic of the American Radio Relay League yet always maintained his ARRL membership according to this obit published today on the ARRL site. Green ran a small but important publishing empire and was the founder and original publisher of Byte magazine which was all about the emergence of something called a computer which you could build from a kit. He went on to publish many other magazines to do with technology. He will be missed on the bands. 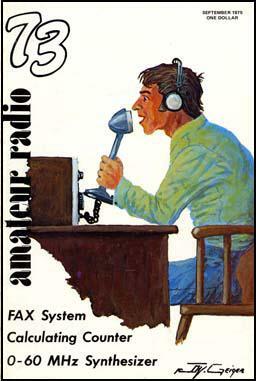 This post was originally published on the Oakville Amateur Radio Club’s Blog VE3HB. Thanks to a D-Star conversation on REF001C this afternoon with Bill, VE3MEW, I learned that the annual D-Star contest is coming up in a could of weeks. So get ready! The D-Star QSO Party is coming to the D-Star world from September 20 to 22 from Friday at 00:00 to Sunday 24:00 UTC. The goal of the contest is to communicate through as many D-Star repeaters as possible throughout the world. Here’s the kicker: All operators who submit an approved log will be eligible for a draw prize draw. Ten winners will be randomly selected to win a prize. The more D-Star QSOs, the more chances there are to win (up to a maximum of four draw tickets). To qualify for the draw you must make at least one contact through one repeater in your own country. If I read this correctly it means you’ve got to be in range of a D-Star repeater or, and I’m guessing here, you’ve got to point your DVAP or Dongle at a local D-Star repeater in order to qualify. The weird thing about a D-Star contest is either the signal is 5X9 or it isn’t there at all so all reports will be 59 and the year you first started operating D-Star. Honestly I think this will be a hoot and it will give me a break from the CQ WW SSB test. Last night’s annual general meeting of the Oakville Amateur Radio Club was a big success (we elected new bunch of directors one of whom, I’m delighted to say, is yours truly) with a small but enthusiastic turnout. Over the last few years the Oakville club has gone through some hard times even entering a period of no activity and for awhile it appeared it might fold. Well thanks to a few patient and long-suffering members the Oakville ARC is alive and well and we’ve got some great plans in the works. For more info please visit the Oakville ARC blog (which I’m building up as we speak). I did have a disagreement with one member who took umbrage at last post which appeared here and an email to all club members about my thoughts on the suitability of folks who run for the position of club director. Not to throw too much gasoline on the fire, I’ve been an amateur student of Buddhism. At a week-long retreat I took some months back we were given copies of the Japanese Zen poem called the Sandokai. Here the writer says that among human beings there are wise ones and fools. I’ve always identified with the latter so it was with some interest I got my morning email from James Altucher Insider’s List where he talked about this challenge to understand that the critique from others isn’t about him or what he said but what goes on inside the minds and hearts of the critic. He is so very correct and this is something I too often forget. In the face of anger or even bullying I need to remember to be compassionate in my thoughts about what might possibly be creating this reaction in my brother. All in all I’m very excited about some of the new projects we talked about last night and even a demo that Rod, VE3RHF and I did at the end of the night went off pretty well. We even worked a station in Illinois! Now that’s DX on a handheld. With the club elections coming up for the Oakville Amateur Radio Club I can’t help but compare our radio club to my Toastmaster club. There are seven people on the Toastmaster executive (president, vice presidents of education, membership and public relations, plus a recording secretary, a treasurer and a sgt.-at-arms. In addition to the executive there are special (party) and standing (video) committees and tons of volunteer opportunities which are always quickly filled. Each of these executive members has already attended a half-day training workshop provided by Toastmasters. Each has a lengthy list of responsibilities to fulfill. The new executive members are taught that as members of the executive team, it is their job to serve the club and not to attempt to govern it. Having said that, the executive lays out a weekly program months in advance with a list of roles for members to carry out months ahead of time. There are about a half a dozen contests which require extensive planning as well as a summer, Christmas and Charter party which are big events in the Toastmaster calendar year. The club has an active mentoring program for all new members and each member has their own individual educational program as set out in a series of speech manuals provided by Toastmasters International. Right now our radio club has a five-member board of directors. Since we have few regularly scheduled meetings members participate or club events, there’s not much for our executive to do as far as I can see. Sure there’s the collection of the club dues which at $20 is 10 per cent of what we pay for our Toastmaster membership. And there’s the annual Field Day and we do meet at a local restaurant for a Christmas dinner which is well attended by members and spouses. But after that, I don’t know. At the Toastmaster club the weekly agenda involves at least 20 members directly who carry out roles ranging from greeter at the door to general evaluator of the meeting. There are three formal speeches delivered every week followed by three formal evaluations of the speeches. All of this activity is captured on video and rendered into movie files which are uploaded to a private club-members-only DropBox for viewing. At every meeting, there’s a 15-minute timed business session. When the 15 minutes are up, a red light shows on the club’s timer and the business session is over. At every business session the minutes of the previous meeting are read and approved. Executive members give reports which are one to two minutes long and then there’s five minutes or so for new business from the floor. Almost all of the decisions and new business for the club originates from the members who rise, are recognized by the chair, and who then move a motion which is seconded, debated and voted upon. The club uses Robert’s Rules of Order to maintain order and decorum. Every year I teach two workshops for area Toastmaster club members on the effective and proper use of Robert’s Rules of Order and parliamentary procedure. When I conducted my last RR of O workshop I assigned the newest member in the room to be the “parliamentarian”. I did this to demonstrate to the over-flow crowd of Toastmasters that they didn’t need to be an expert to participate in business sessions conducted using RR of O. So long as one person had a grasp of RR of O, they could assist the entire assembly in quickly, efficiently and with great camaraderie conduct the business of the day. Without RR of O protecting the rights of every member, the decision-making process can be hijacked by the loud, the aggressive and those with hidden agendas or desire for power. On Tuesday Sept 10 the Oakville Amateur Radio Club is holding its annual general meeting to elect a new board of directors. As an incorporated non-profit organization we fall under the direction of the Ontario government which has tons of information on their website about how we must run our club so as to maintain our non-profit status. One thing the government doesn’t talk about and we should is what are the qualities of a good director for our club. For example, last year I volunteered and was appointed, at a club meeting where most of the directors were present, as Field Day coordinator. I said at the meeting that the only way I would accept the appointment was if everyone was in favour of it. No one objected. I also made clear that as coordinator it was my objective to delegate as much as possible to those who volunteered to help. Again this statement was met with approval as nobody objected. As the weeks leading up to Field Day went by many members stepped up volunteering to be captains of stations, facility managers and even a Saturday night dinner cook. We had participation by a great many club members and several hams who weren’t members and I think everyone seemed to have had a good time. But one surprising outcome was several of our current club directors chose to setup their own Field Day site elsewhere. None of us working the Oakville club site were aware of this decision and many of us were very disappointed in this behaviour which I would consider more than a little passive aggressive. Now we are coming up to the annual general meeting and I have no idea who will be putting their name forward for the position of director but I’d like to suggest we elect directors who put the interests of the club first and their own interests second. Hope to see you on Tuesday as we need to vote in directors who will support the members in building the best Oakville Amateur Radio Club possible.